Facebook ads are great if you’re a marketer or a business owner, provided you have a good grasp of your target demographic in terms of age, gender, marital status, interests and so forth. What’s great about FB advertising is that you can also now extend your Facebook ad campaigns to the Instagram platform which gives you even more reach and advertising options depending on your campaign goals. 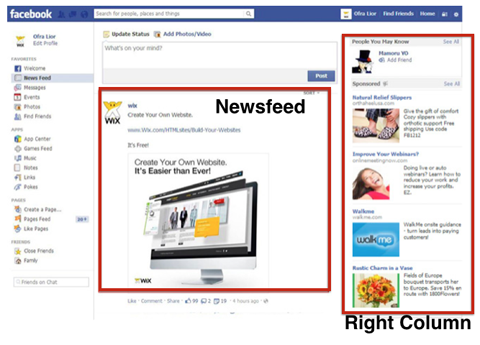 By default, Facebook will opt you into both their Newsfeed and Sidebar ad space, again, depending on the message, imagery, and goal of the advertising strategy, you may want to adjust where you want these ads to appear. TIP: In addition, Facebook will also display your ads on both the Desktop and Mobile newsfeed so it’s important to verify that your ads’ messages and images are legible and not being truncated on mobile platforms. With standard newsfeed ads, marketers now have the ability to add multiple images to an ad, which will scroll through them automatically in your newsfeed or right column, to make it more compelling and eye catching. 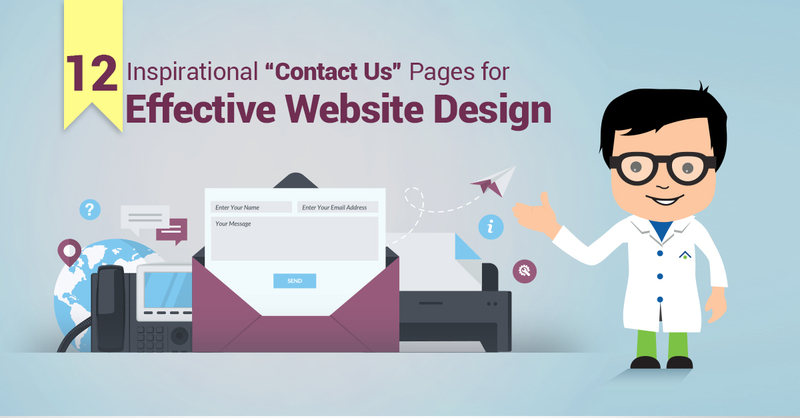 These are effective if you are trying to promote multiple products or services, or multiple value propositions and special offers. These ads do not cost any more per click than standard ads. If this format makes sense for your business, it’s a great idea to test out this format vs. standard Facebook ads. If you have a post on your Fan Page that is receiving a lot of attention, you may want to consider promoting or ‘boosting’ that post through paid Facebook promotion. By default, Facebook is only showing your Fanpage posts to about 13% of your overall user base (Fanpage’s fans), so if you want some of your most engaging posts to reach more of your fans, or even users who don’t yet follow your Fanpage, boosting that post is a great way to push that update to a wider audience to increase awareness. TIP: One thing to be aware of is that the imagery used on a promoted post needs to meet Facebook’s “20% Rule”, meaning the image used must include no more than 20% text in it, otherwise it will not be approved. If you’re familiar with Google Remarketing, Facebook also offers the capability of retargeting users who have visited your website previously, with your ads as they browse Facebook. The great thing about Facebook retargeting is that you are able to not only chase users with your ads on Facebook who have previously visited your website, but you can also fine tune this strategy with the same demographic targeting that’s available with standard Facebook Ads. This allows you to really target your ad to those users who are extremely qualified (not just fitting within your key demographic, but also those who have previously visited your website and have expressed interest in your business,product, or service). Facebook also allows marketers to upload a csv list of emails that will then crawl Facebook’s user base to pull any profiles that are associated with those email addresses – from there, Facebook will draw similarities from each of those users i.e. interests, location, etc. , and build a list of commonalities between those users, formulate a prototypical Facebook user profile, and build a ‘Look-a-Like’ audience of users to market to who fit your perfect ‘target demographic’. Once this ‘Look-a-Like’ audience has been formulated, you can then setup any Facebook advertising campaign that will target these types of profiles specifically. Of course, with all paid marketing strategies, you want to ensure you’re monitoring them very closely in the initial 30-60 days to determine how well they are working for your business, and if they’re fulfilling your advertising goals. While it’s important not to take a ‘set-it-and-forget-it’ type of management towards any online advertising strategy, I highly recommend giving these initiatives an initial 30 days to collect data to make informed and educated adjustments to improve performance, as to avoid any anomalies in the data. 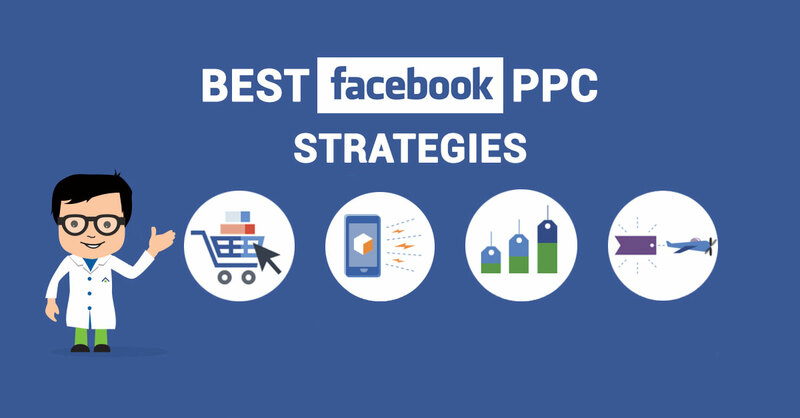 What are some of your favorite PPC strategies and best practice tips? I’m interested in how effective Facebook ads are. I’ve been wanting to promote some of my own pages and unfortunately, it isn’t within my budget to spend of Facebook advertising. Maybe if Facebook gave away vouchers like Bing does, I could give it a go. @audacior Facebbok paid advertising is definitely worth it if you have the money, I’ve had really good results once I joined their system and spent a while setting up the preferences. It is kind of pricy but the results are worth it in the end. 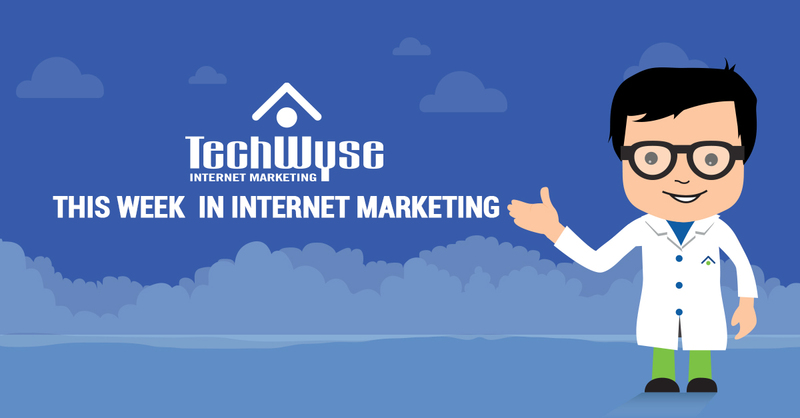 I have only recently begun researching the various forms of internet marketing, and it has been fascinating to discover just what is out there, and what tools can be used. I don’t know that much of this was necessarily new to me; I knew there was advertising on Facebook of course, but as a casual Facebook user. From a marketing perspective, I had no idea that the kind of email search and demographic information gathering could be done in quite that way, or more accurately that it was something that was currently available to use. I am realizing how many aspects of advertising this way are involved, such as those mentioned regarding using an image in Facebook advertising and being sure it would work in mobile and desktop formats, as well as the “20%” rule. Thank you for the information! I always found it rather interesting how Facebook’s promotion system works. I have never paid Facebook for advertising before, but I have seen many posts that were obviously placed on the top of a page because of an advertising campaign. I have thought about promoting the fan page for my website using their ad system, but I haven’t decided if it’s worth my money yet. After all, I am a musician with a fan page; maybe I should just spread the word via chain emails. I don’t know yet.